DNG Maxwell Heaslip & Leonard is leading the way yet again with this superb property located in the popular Tur Uisce development in Doughiska, within minutes of the major employment hub on the east side of the city, perfect if you want to avoid the daily grind of traffic congestion. 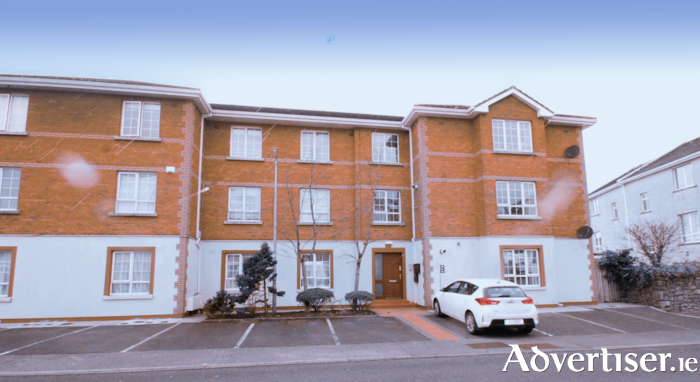 Tur Uisce is adjacent to all amenities, with the added benefit of being within walking distance of Lidl, Briarhill Shopping Centre, and local schools and sporting venues. An excellent regular bus service to the city centre and nearby access to the M6 motorway and all commuter towns further enhances the attraction of this wonderful location. Presented in excellent condition, this two bedroom ground floor apartment is adjacent to a spacious green area, and comes with the benefit of gas heating and ample communal parking. It comprises c540sq ft of bright, spacious, living accommodation including an entrance hall, open plan living room/kitchen/dining, two double bedrooms, and bathroom. Viewings can be arranged by contacting any of the residential sales team at DNG Maxwell, Heaslip & Leonard on 091 565261.